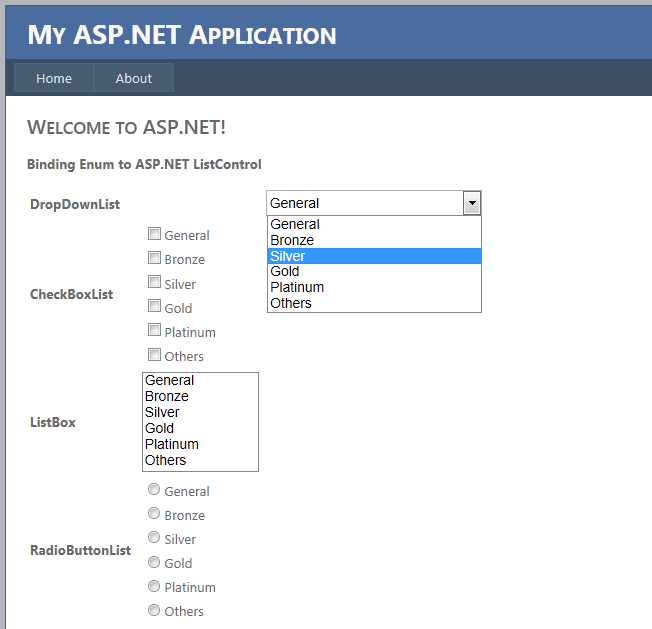 In this post I am going to explain how we can bind a Enum with ASP.NET List Controls. These comprise of four different types of control, CheckBoxList, DropDownList, ListBox and RadioButtonList. This is one of the common requirements during development to bind a Enum with List Control and challenge is when we need to bind the both text and value. Let’s consider we have the blow Enum. 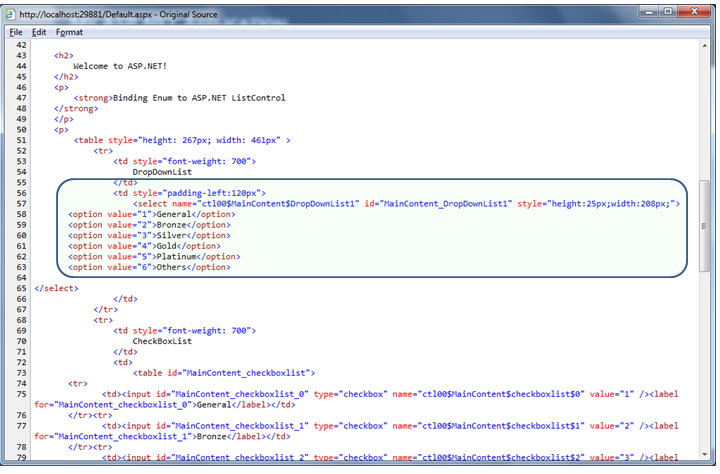 Now I am going to bind it with all the above mentioned type List Controls. Well, One of the easiest way that we can implement is by Enum.GetNames(Type enumType)which retrieves the name list of enumberation and Enum.GetValues(Type enumType), which returns the list of values for each names . Once we have the Names and Values, we can easily bind with any ListControl by just iterating with them. 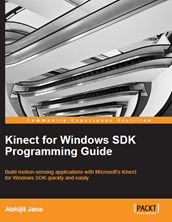 You must be thinking why iterating through each and every names why not using LINQ instead of that. Well, it’s time to optimized it . The easiest way to do it with LINQ is to convert the enum into Dictionary and Set the DataSource of List. Why Dictionary ? Because we want to bind with both Key and Value Pair for Dropdown list. Above code will do the same as we have in the previous output. But this approach certainly having a small problem . . If you look into the ViewSource of the above generated html and verify the Value Field for each and every control. All the value field are containing the sequential value. 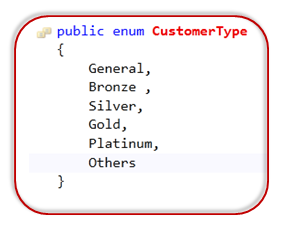 In some certain case, Enum may contain the Value as well, so that time we need to bind the actual value instead of overriding the value while creating the Dictionary as shown in below snippet . I was thinking for some different approach but which leads me using for-each only. Then I look for some solution, and found one very interesting post, which handles this in a smart way. Now from the below image, you can see the Customer Type value is applied to the List elements.